Does Your Homeowner's Insurance Protect the Valuables of Your Kids? Damage from a fire can leave you, and your children, without precious valuables. Homeowner's insurance is an absolute must for anyone who has a mortgage or owns their home outright. Homeowners insurance rates account for both your degree of risk as well as the combined value of your home itself and your possessions. That includes most possessions that belong to kids who are part of your household. A standard homeowner's insurance policy covers not only your home's structure, but also its contents. 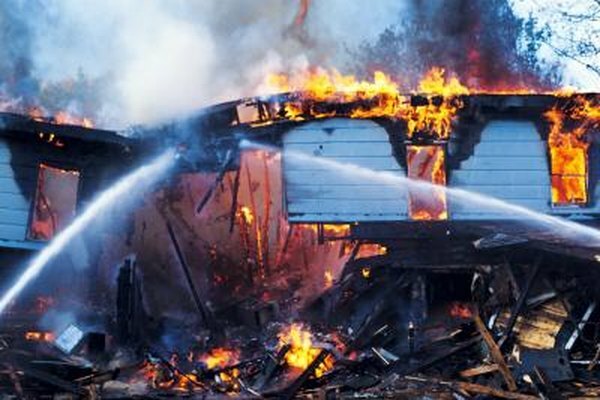 This applies to damage from a disaster such as a fire or tree fall, or a loss due to theft. It also covers the contents of your home, regardless of whom individual items belong to. Your kids' property is covered the same way your own personal property is, and your insurance company will provide you with a settlement that accounts for the depreciated value of your entire family's possessions. Homeowner's insurance policies have maximum limits that apply to how much you can receive to cover valuables that you and your kids lose. If your kids have especially valuable items, you should consider making special accommodations for them within your homeowner's insurance policy. You'll need special policy terms to cover any jewelry, collectibles or electronics that your kids own. Without this added coverage, you'll only receive a settlement based on the typical value of furniture, fixtures and general household possessions. When your kids leave for college, they're likely to leave some valuables in your house and take others along with them. Some homeowner's insurance policies will cover your child's possessions if they live with you part time and live in on-campus housing during the academic year. This protects your child against dormitory thefts. Check with your homeowner's insurance to learn about coverage limits for a child living outside your home. Once your child is financially independent, gets a rental unit or buys a home, she will need her own homeowner's or renter's insurance. Special exceptions to your homeowner's insurance also apply to your kids' valuables. For example, homeowner's insurance policies don't cover flood damage. Instead, you'll need to purchase flood insurance through the National Flood Insurance Program. This coverage will apply to your home's contents, including kids' valuables, up to the policy's limits, much like a conventional policy. Frontline Homeowners Insurance: Does My Homeowners Policy Cover My College-Bound Kids?